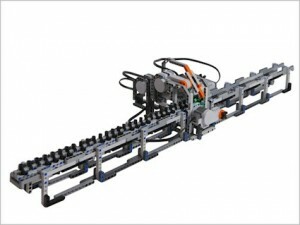 Davy Landman and Jeroen van den Bos constructed a Turing Machine out of LEGOs. The video at the original post shows the machine blazing through the difficult mathematical problem: 2+2. What will these science geeks build next, a functioning astrolabe? Maybe an Armillary Sphere? Or maybe Mechanical Turk?